The Atlanta Journal-Constitution felt the need to go after the Patriots for the Deflategate kerfuffle this week, but conveniently ignored the Falcons' own cheating scandal: NoiseGate. Luckily for you, we've prepared a comprehensive guide to help you talk with your kids about the Falcons and their habit of skirting the rules: and, unlike the Atlanta media, we're going to stick to facts. In 2015, the Falcons were fined $350,000 and lost a fifth-round draft pick for pumping extra crowd noise into the Georgia Dome during the 2013 and 2014 seasons. Their team president, Rich McKay, was also suspended from the NFL's Competition Committee (which deals with issues regarding "the integrity of the game"). Ironically enough, he was the chairman of said committee up until the scandal. Upon hearing the news, Falcons owner Arthur Blank issued an immediate apology, saying that the violations were "wrong and nowhere near the standards by which we run our business." 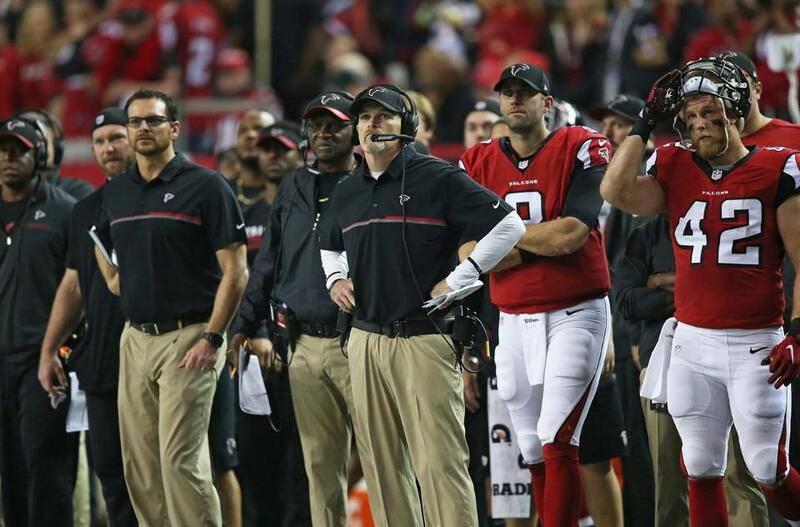 It's important to note that, during the 2013 season, when the Falcons admitted to cheating, they collected 75% of all their wins (3 out of 4) at home. For your kid: The Falcons made their stadium louder against the rules in 16 games (and maybe more) over the course of two seasons. That's equal to playing a full season of cheating, and they could have cheated for longer as well. What did the NFL find? After a "thorough" investigation, the NFL determined that the team's director of event marketing, Roddy White, was "directly" responsible for the violation. Blank, the team owner, effectively pleaded guilty and decided not to appeal the punishments, quickly putting the matter to bed. As stated above, Atlanta lost a fifth-round pick, was fined $350,000, and had their team president suspended from the NFL's Competition Committee. For your kid: The man who runs the Falcons organization was told he could not help make the NFL's rules for a while as punishment. The team also lost a lot of money and couldn't draft a player in the fifth round because they cheated. The Falcons quickly accepted their punishment, and the NFL didn't pursue them after the initial investigation. Basically, because the team copped to the cheating charges immediately, and because they were a terrible team at the time, the NFL gave them a "slap on the wrist." The Patriots, on the other hand, decided to fight similarly frivolous (but in this case, dubiously true) allegations and were handed $1 million in fines, lost a first-round pick, and got their star quarterback suspended. It demonstrates the power of the NFL Commissioner, Roger Goodell, and how if a team (besides the Patriots) cheats and admits to it, the story usually goes away with little fanfare. This case is a great example. For your kid: The Falcons admitted to cheating immediately, so the league gave them a lighter punishment. They also weren't a very good team back then, so the NFL went lighter on them than it did on good teams, like the Patriots. The Falcons are playing in this game because they still won after the cheating scandal. The general conclusion is that the team cheated and eventually won. Unlike DeflateGate, the truth of the allegations isn't in doubt here, and the Falcons admitted to the charges immediately to lessen the punishment. That's why, 18 months later, nobody is talking about NoiseGate while DeflateGate continues to fill sports sections across the country. This article was patterned off of the Atlanta Journal-Constitution's "What to tell your kid about DeflateGate"